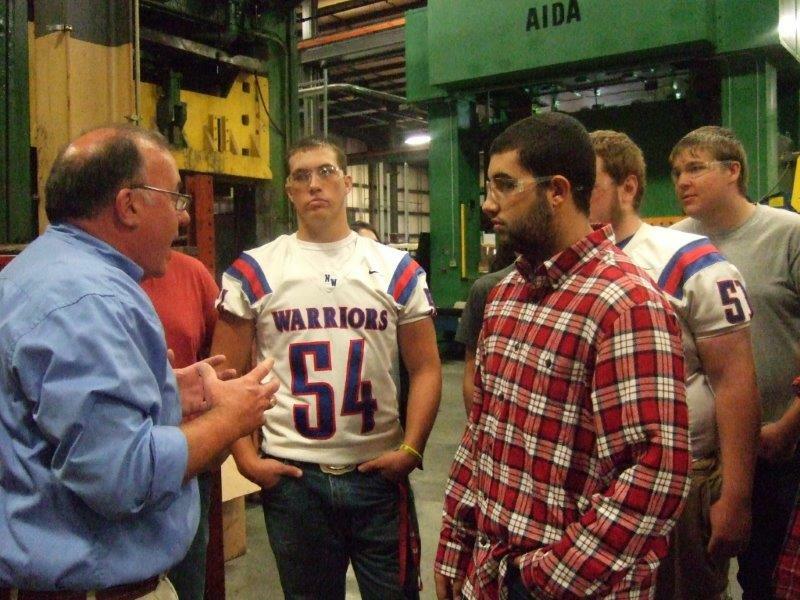 Manufacturing Day 2014 Recap: Another Home Run! | Pentaflex INC. Manufacturing Day 2014 Recap: Another Home Run! | Pentaflex INC.
Manufacturing Day 2014 Recap: Another Home Run! The overall goal of the day was to get manufacturers to open their doors, showcase the great work they do and their impact on their communities, and get young people interested and excited. Personally, we can say that it was a great success. Along with over 1,600 other companies nationwide, we actively participated in Manufacturing Day, opening our doors to students and teachers from three area high schools. 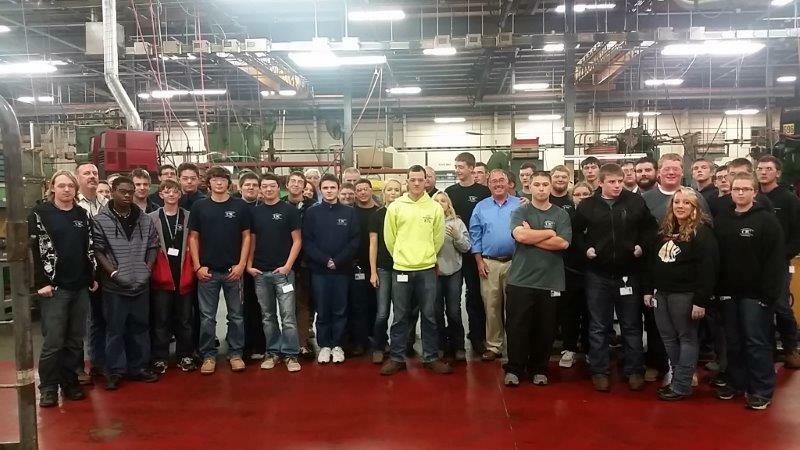 18 students from Northwestern High School, 18 students from Springfield High School, and 39 students from Clark County CTC visited us and got firsthand knowledge and hands-on participation. It began with an introductory speech by our President, Dave Arndt, who spoke about manufacturing technology and growth opportunities throughout Southwest Ohio. He presented a five-minute video history of manufacturing and stamping in the auto industry, which the students showed great interest in. Next, the students were given a tour of the Pentaflex facilities, with a hands-on opportunity to see stamping and welding in action, including our new 300T servo press drive, featuring the latest technology. After the shop tour, Ross McGregor talked about opportunities at Pentaflex offering exciting positions with plenty of growth. Each student was given a flash drive showing manufacturing at Pentaflex, which they could bring home with them and show their family and friends what they had seen and learned. We are looking forward to it as well. http://pentaflex.com/wp-content/uploads/2019/02/Pentaflex-Logo-01.svg 0 0 Ross McGregor http://pentaflex.com/wp-content/uploads/2019/02/Pentaflex-Logo-01.svg Ross McGregor2014-11-04 15:48:502014-11-04 15:48:50Manufacturing Day 2014 Recap: Another Home Run!